C. Flippo Hicks, president of the Virginia State Bar in 1990–91, died August 13 at Heron Cove in Gloucester. Mr. Hicks had a long and distinguished legal career. In addition to serving the bar as president, he was president of the Middle Peninsula Bar Association, a member of the VSB Special Committee on Tort Reform and the VSB Special Committee Establishing Third Year Practice. He was a chair of the bar’s Litigation Section and the General Practice Section. He also served on numerous other bar organizations. Mr. Hicks, who was born February 24, 1929, grew up in Port Royal. He received his undergraduate degree in commerce from the University of Virginia in 1950 and his law degree there in 1952. He was an assistant attorney general of Virginia from 1952 to 1959 when he moved to Gloucester and joined the DeHardit law firm. He remained in private practice until his retirement. In 1962, Mr. Hicks became general counsel to the Virginia Association of Counties and was its senior lobbyist for forty years. According to The Richmond Times-Dispatch, Mr. Hicks was involved in landmark legislative decisions such as integration, annexation, school funding, and public kindergarten. His work in 1966 implementing the first statewide sales tax, which would go on to generate revenue for local schools, was one of the first collaborative efforts of the Virginia Association of Counties and the Virginia Municipal League. He received the Edward J. Finnegan Award for Distinguished Service by the Local Government Attorneys of Virginia as recognition of his effectiveness as a lobbyist. 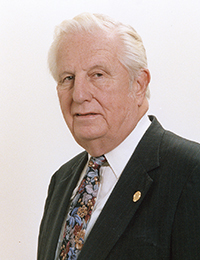 In 2002, the Virginia Association of Counties bestowed its highest honor, the Jefferson Cup Award, in recognition of his outstanding contributions to local government.